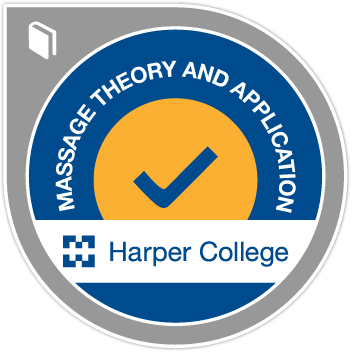 Therapeutic Massage Theory and Application denotes earners who demonstrate an understanding of body systems: integumentary, cardiovascular, lymphatic, immune, respiratory, digestive, urinary, and reproductive. Students master record-keeping, assessment procedures, complementary bodywork systems and wellness education. Earners demonstrate joint mobilization, range of motion, pre and post natal massage, deep tissue massage, trigger point therapy, neuromuscular therapy and sports massage.